Fly a covert mission into Russia at the height of the Cold War to pick up a British agent whose cover has been blown. Evade the MiG fighter jets and return safely with him to Norway. This mission requires Simvar and Acceleration. Simvar is included in the package. Take off in a Lear Jet initially, from Friedman Meml airport in Hailey, Idaho to Sawtooth Mountain. Then to Weiser Mun airport in a Beech Baron. Change to the Bell Jet Ranger helicopter and fly the governor to HER state capital building. It's New Year's Eve.....You are approaching the Galapagos Island of San Cristobal in a Bombardier CRJ700. You have been asked to fill in for the San Cristobal Helicopter Shuttle Service pilot who has the night off. Land at San Cristobal Airport, switch to the JetRanger Bell 206B helicopter and carry out the shuttle services for the evening accompanied by their agent Raveena. All in all, there are seven chopper shuttles to carry out, including landing in the bottom of a volcano crater, on a cruise liner and on a luxury yacht. Lots of scenery, effects and a near miss of a very unusual kind. Crash Behaviour is set to User Specified for those of us that don't always make the perfect helicopter landing. As uploaded: Listing from the FLT file: [ResourcePath] Path=.\Missions\My Missions\MsntoHanoi This means the mission will show up in the Tutorial. I meant to have the line above be: [ResourcePath] Path=.\Missions\Just for Fun\MsntoHanoi So if you follow the readme and look in the Just for Fun category, you need to change the line listed above as shown. Take off in a Beech King Air 350 from Dienbien airport and fly to Nasan. Land there. Pick up a passenger and fly to Noibai Intl airport in Hanoi, Vietnam. Appalachian Trail Adventure New York FIX. Some of the files were changed while testing this mission. You did not get the reward at the end of this mission due to the changes these made. Luckly someone alert me to this, Thank you. Simply place these files into your appropriate FSX folders. A distress call for help has been received from a fisherman living on an island off the coast of Sweden just south of Berga Airport. There is a forest fire raging on the island which is heading towards his home. The fire has cut off his access to his boat, so he has no way of escaping the island. Together with your co-pilot, take-off from Bromma Airport in a Beechcraft Baron to go check out the situation and locate the fisherman. From there you can make a decision to either rescue him or not to rescue him. Either way the mission can be completed. 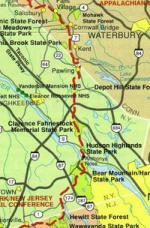 Appalachian Trail Adventure New York. 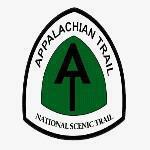 Fly the historical Appalachian Trail by each state. This is long distance hiking trail from Georgia to Maine. Along your flight look for each of the shelters were thru hikers sleep on the trail along with many landmarks on the trail. In this mission you will be flying the New York section. Take off in a Beechcraft Baron 58 from Bronson Creek airport to Stewart. Perform a touch-and-go there, then fly to Woodcock. Get fuel there, take off and finally land at Burns Lake airport. 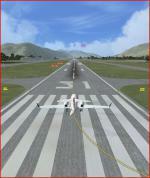 Mission requires 4 of a small download of fictional airports located in British Columbia, Canada.